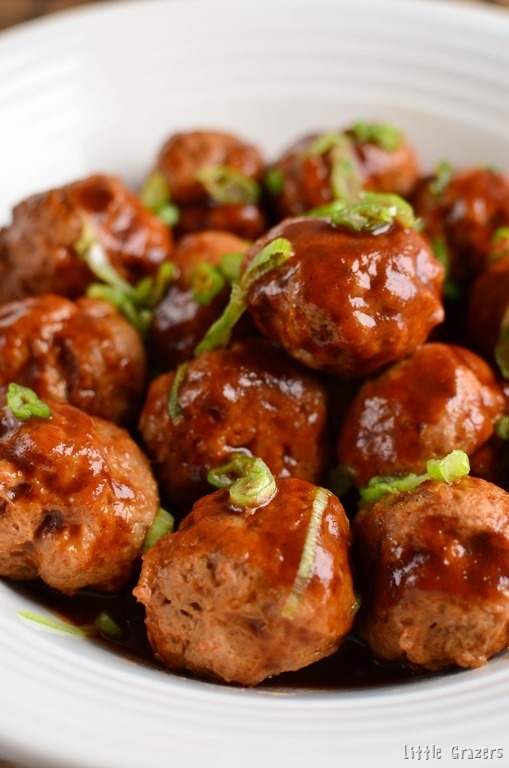 These yummy Chicken Meatballs in Hoisin Sauce are great served with a variety of sides. Ours personal favorites are rice, noodles or even oven baked chips with some stir fried shredded vegetables. Add the ingredients for the meatballs to a large bowl and bind together, form into balls..
Place meatballs in a oven proof dish and bake for 15 mins, till lightly golden. Add the ingredients for the sauce to a saucepan and heat until it thickens. Pour marinade over the meatballs. Place back in the oven for another 15 mins, basting once with the sauce.